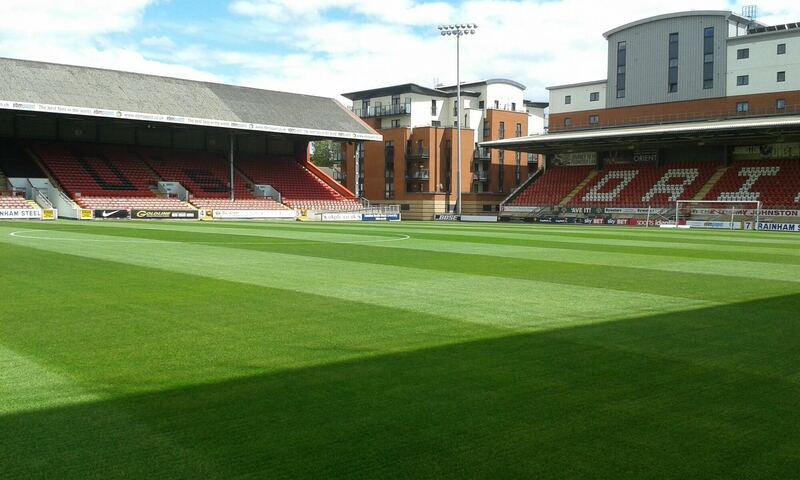 Leyton Orient’s stadium is known officially these days as the Matchroom Stadium thanks in part to Barry Hearn. The O’s home ground is known to most fans as Brisbane Road though as it kept this name for almost seventy years. It was renamed as the Matchroom Stadium after former club chairman Barry Hearn‘s sports Promotion Company. As many people are aware Matchroom is the name for his stable of high profile snooker players. Hearn became chairman in 1995 after the club was put on sale for £5 by then-chairman Tony Wood, a period covered by the television documentary Orient: Club for a Fiver, made by production company Open Media for Channel 4 and well worth a look if you can find it. In 2014, Hearn sold the club to Italian businessman Francesco Becchetti who is the current chairman. This is Becchetti’s third year in the job as he sees his first team lie 23rd in League Division Two, one of the lowest points in the club’s history with the club struggling to keep league status. What’s the ground like? Well as an ex season ticket holder for a couple of years I can tell you it’s not a bad little ground. Put it this way in the clamor for decent grounds in the lower divisions this ground is cute. Yep, I’ve said it, cute. It’s not made for 40,000 people and if you want that you’d go to local rivals West Ham or up to White Hart Lane to see the Spurs in action. On the other hand luckily it’s not in the mold of Brentford who have a dreadful ground and the worst mish mash of stand types you could ever wish to see and the atmosphere of lard. Oh I nearly forgot the old Oxford United ground that always looked like it had been recently bombed too. No the Orient ground is a quaint little ground perfect for the club and the fans. The capacity at Brisbane Road, oh ok The Matchroom then is 9 thousand 271. Ok not huge but then Leyton Orient aren’t Liverpool. There are four stands; yes I know that sounds obvious but I have seen round stadiums and oval stadiums basically with just one side and a certain Russian team whose stadium is built into the side of a mountain so it has only three stands. There’s the West Stand for home supporters only and you can fit just over 2,900 in this area although not all on the same seat. This stand also has premium seating and is worth it for the reason that it actually has it’s own bar in the centre, known as the Gallery. It has two refreshment outlets at either end underneath the stand and it is accessed by turnstiles at either end via Oliver Road, or via the main reception for Gallery members and Olympic Suite diners. The players’ changing rooms are also located underneath this stand and players emerge from the tunnel here. The dugouts are also located at the front of this stand after being moved from the opposite East Stand for the start of the 2006–07 season. Then there is the East Stand. The East Stand, previously the main stand, is the oldest stand at Brisbane Road and is used by both home and away supporters. When an away team is allocated the entire stand for safety or other reasons, Orient fans in the North half of the stand are required to move elsewhere to accommodate the extra away fans. The capacity of the Northern end of this stand is 2,133 and the Southern end is 1,459. There are also executive seats in the middle of the stand (the old directors’ box, now known as the Wyvern Suite) but these are not ordinarily used by any supporters. East Stand North: 2,133 with 15 disabled supporters and their helpers East Stand South (away): 1,459 with seven disabled supporters and their helpers. The North Stand (wow Orient really come out with some really fascinating names for their stands don’t they) has mainly been a family stand and is the newest stand built in 2007. The fourth stand is actually called the Tommy Johnston Stand. This stand was built 18 years ago in 1999 and was formerly called as you may have guessed the South Stand. It was renamed in 2008 in memory of Leyton Orient’s record goal scorer Tommy Johnston. It is currently for home supporters only and has a capacity of 1,336. It has a refreshment outlet and a bar underneath the stand and is accessed through turnstiles from Buckingham Road. It has the word ORIENT marked into the seats in white. A large block of flats backs on to the stand. The full capacity stadium is 9,271 and is of course an all seater stadium. It has been the home ground of Leyton Orient since 1937, before which it was the home of amateur football team Leyton F.C., who moved to the Hare and Hounds ground. The highest attendance at the ground was 34,345 for the visit of local rivals West Ham United in the 1964 FA Cup. The original name was Osbourne Road. Not many people realize is that The Matchroom is host to Tottenham Hotspur reserve team home matches, in actual fact very few Spurs fans are aware of this. The stadium has hosted two full internationals as Ghana saw off Zambia 4-1 in 2009 and Jamaica and Egypt held an intriguing 2-2 draw in 2014. There has even been a full England women’s international there in April 2011 when England saw off the excellent USA team by two goals to one with all the goals coming in the first half. The attendance for this match was an impressive 5,801 which is far more than the first team O’s are getting in the 2016/17 season. The club registered an interest into moving into the Olympic Stadium following the 2012 Olympics, as the original plan was for this to have a capacity of about 25,000; however, as the club’s average attendance five years ago was about 5,000 meant that this was not a viable move and even more so that again this season attendances have averaged just over 4,000 with only 2,900 making it out in the cold to see the home match with Exeter in November 2016. The eventual bids from both West Ham United and Tottenham Hotspur to move into the Olympic Stadium, with capacity nearer 60,000, effectively ended Orient’s interest unsurprisingly. 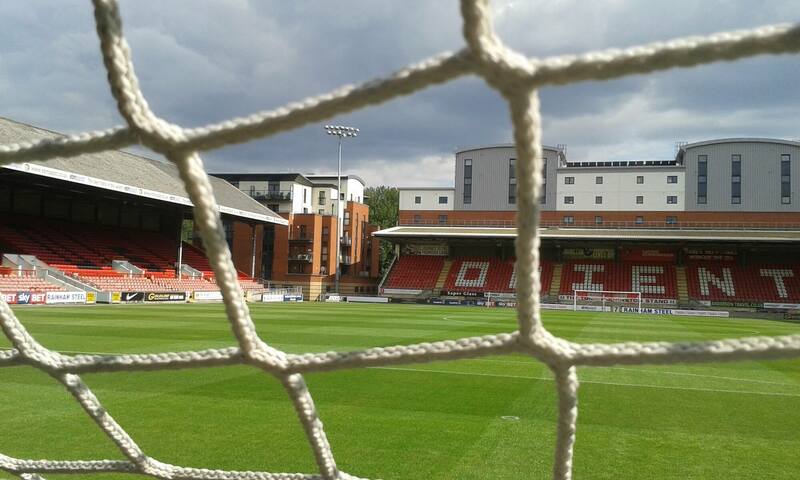 Brisbane Road is in very close proximity to both the Olympic Park and also Hackney Marshes. On 6 May 2012, Brisbane Road hosted a Super League Rugby League game between London Broncos and Bradford Bulls due to works on the Broncos’ home stadium Twickenham Stoop, with Bradford winning 29-22. However rather than Tottenham’s reserve team or Super League Rugby matches Brisbane Road to many Orient fans will always be a football stadium where the O’s parade both good and bad every other Saturday in the footie season and to myself and the O’s fans it’s a family football club with a family orient(ation). And I hope you like the final pun.